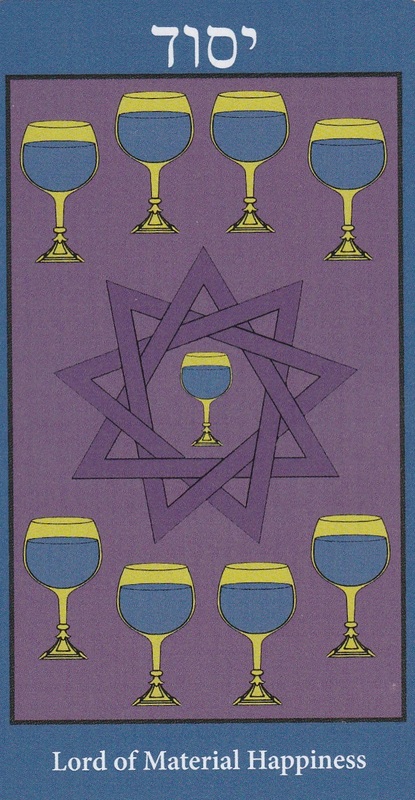 It’s the 10th week of the year and the card of the week is the 9 of Cups. In numerology, 1(0) is a number of endings becoming beginnings and we also have 4 9 cards that appear this week (9 of wands, 9 of Cups and 9 of Pentacles and the Moon which adds to 9 in numerology). 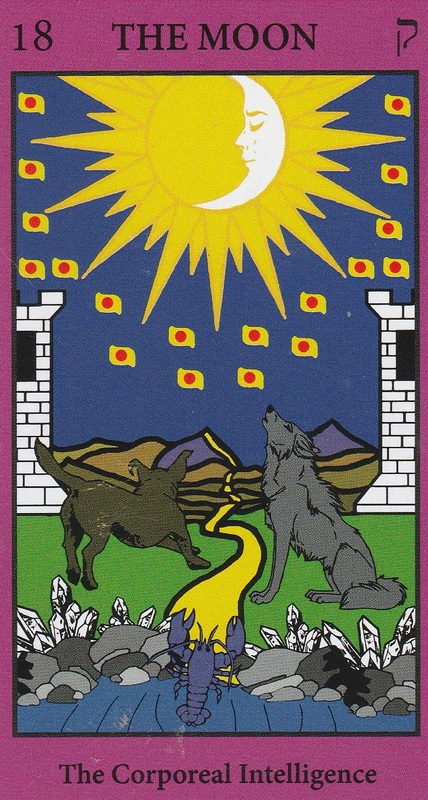 It’s also interesting to note how positive two of the 9 cards are: the 9 of Cups is a card of wishes coming true and the 9 of Pentacles is a card of freedom, independence and the return of lovers. Throw the 9 of Wands in there and it may read that this week we could have too much of a good thing, which isn’t surprising considering Venus is in Retrograde. But consider the Moon, which points to things are not as they seem, which is also an attribute of Venus Retrograde. There’s also a couple of 2 thrown in there, the 2 of Wands and the High Priestess, reminding us that balance is absolutely necessary when we’re in the middle of the strong relationships on the way. The 1 signles the opportunity for new beginnings presenting themselves but remember that these are huge life lessons coming your way. If you don’t feel ready for taking on this level of intensity, skip the lesson and let the connection fizzle out. Mantra: Each connection represents a world waiting to be born inside us. 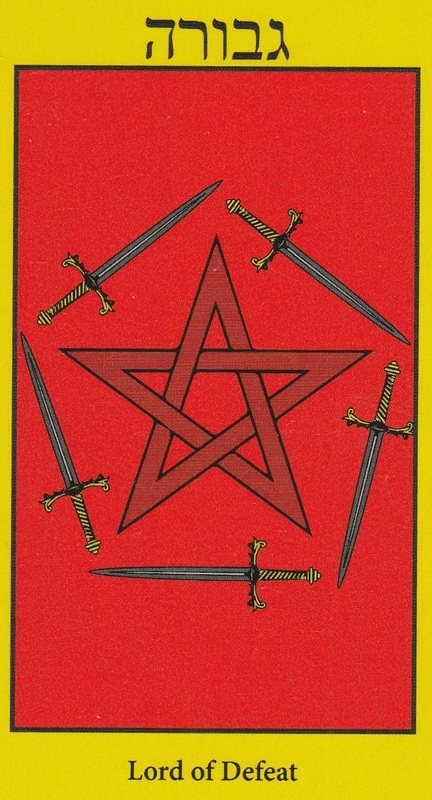 The 5 of Swords appears when a meaningless struggle has come to an end. There is no winner in this fight. Both parties walk away empty handed although one side may not recognize it yet. If confronted today, do not take up the fight, it will only end badly for both parties involved. Take the high energy from Moon sextile Mars at 12:22 AM PST and use it for taking the lead. The charisma to get others to follow you is there. And if someone isn’t interested, let them go their own way instead of trying to force your ideas on them. Sun conjunct Mercury at 4:29 PM PST is a transit that favors great communication. It’s a good day for new business ventures as long as they will be wrapped up within the Venus Retrograde period since it is not favorable to start new long term projects during this time. As long as you stay open to what others have to say, you’ll have a good day. The Moon is void of course until 4:54 AM PST when She enters the motherly sign of Cancer. Remember to show compassion for others today and they won’t forget it. The number of the day is 1(0), a number of new beginnings. Mantra: I make the choice to walk away from useless conflict. 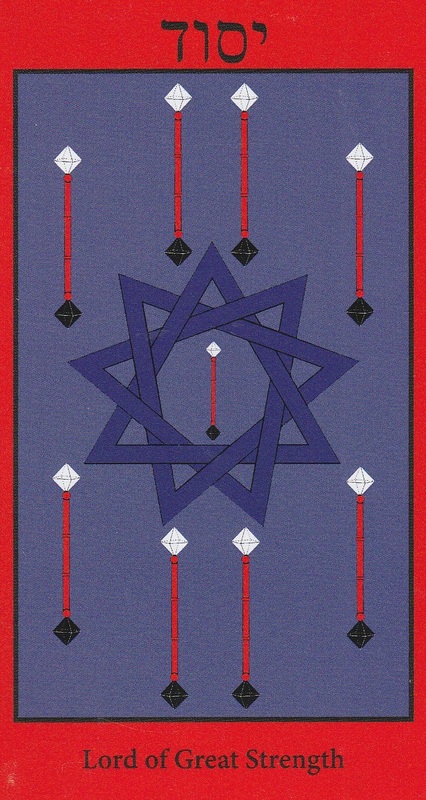 The 9 of Wands is a card that appears when you feel like you’ve just about had it. The load you’re carrying is heavy and although you’re so close to the end of your journey, you’re tempted to quit because you don’t know how much more you can take. Stay positive and push through. There are a lot of transits that may make you feel like your emotions are yo-yoing all day. So here’s what we have to work through today: Moon trine Neptune at 1:21 AM PST is a mysterious, intuitive, empathic transit. Moon square Venus at 3:08 Am PST is a selfish, indulgent transit. If you are asleep during these transits, these themes may appear in your dreams. Moon trine Sun at 10:48 AM PST brings happiness, harmony and flow to your late morning/early afternoon. Mono trine Mercury at 12:12 PM PST will allow you to communicate freely with people. If you need to talk something out, now is the time. Moon opposition Pluto at 1:28 PM PST is a transit that reveals secrets that are possibly fueled by jealously. Moon square Jupiter at 6:25 PM PST brings generosity but with a price attached. Moon square Uranus at 7:33 PM PST may leave you feeling restless. Try not to act out for the sake of shaking things up out of boredom. Mercury sextile Pluto at 9:23 PM PST is brings energy that reveals life changing truths. Moon is in the emotional sign of Cancer so be nice to yourself because you’re so close to breaking through. The number of the day is 2, a number of balance. Mantra: It’s closer than you think. 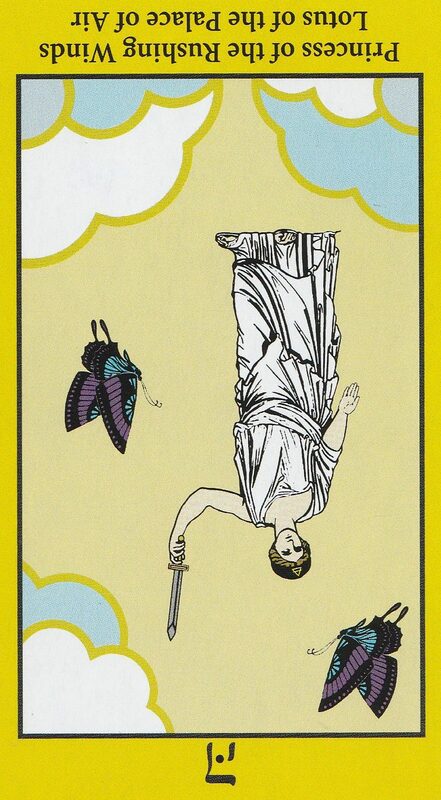 The Page or Princess is an inexperienced person with lots of ideas and great potential that he or she may need help communicating when this card appears upright. When it appears reversed, however, appears when you or someone you encounter has a difficult time communicating. Maybe they can talk the talk but not walk the walk. Or maybe this person just doesn’t get a very important project at work. Whatever the case, communication will be strained today thanks to the appearance of the Page. Moon square Mars at 6:59 PM PST today is the only exact transit so try not to lose your temper when communication is strained. Instead, let things go until the transit passes and your emotions cool. The Moon is void of course between 6:59 AM PST and 8:45 AM PST when it enters the fiery sign of Leo. Don’t let the windy Page of Sword fan the flames of the firey Moon in Leo and the Mars transit. The number of the day is 3, a number of things coming together. Even if things seem a discombobulated right now, things will be rearranging themselves soon. Mantra: Patience is a virtue. 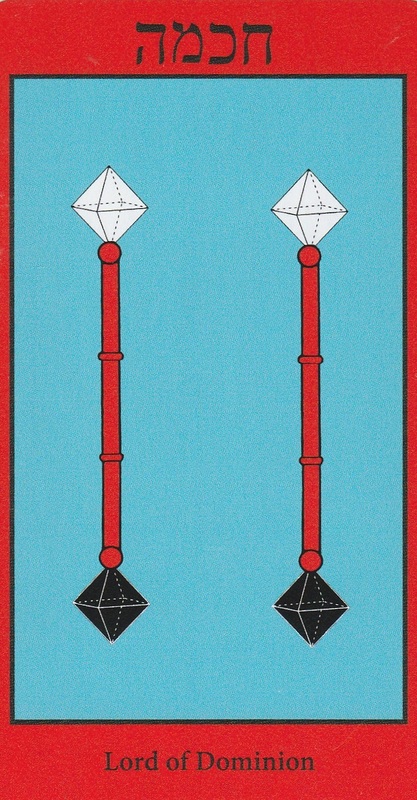 The 2 of Wands is a card that appears when potential is realized. Whether it be in love, luck or money, you have the world in your hands. Sun sextile Pluto at 12:29 AM PST brings the humility to make changes that will improve the overall quality of your life. Moon trine Venus is a transit that brings out all the love, beauty and creativity you could ask for. Mars enters Taurus at 4:34 PM PST where He will stay until 4/21/17. When Mars is in Taurus, people tend to focus on their goals. They are generally easy going but can be fiery when provoked. Mars in Taurus is a period of strength, stability but also stubbornness. Once someone is on the grind, there’s no stopping them under this sign. Moon sextile Jupiter at 10:58 PM PST is a jolly, energetic transit filled with positivity and good cheer. You may want to get some exercise to tire you out earlier in the evening or you could catch second wind before bed. The Moon is in Leo, shining light on your potential. The number of the day is 4, a number of stability. Mantra: I am filled with limitless potential. 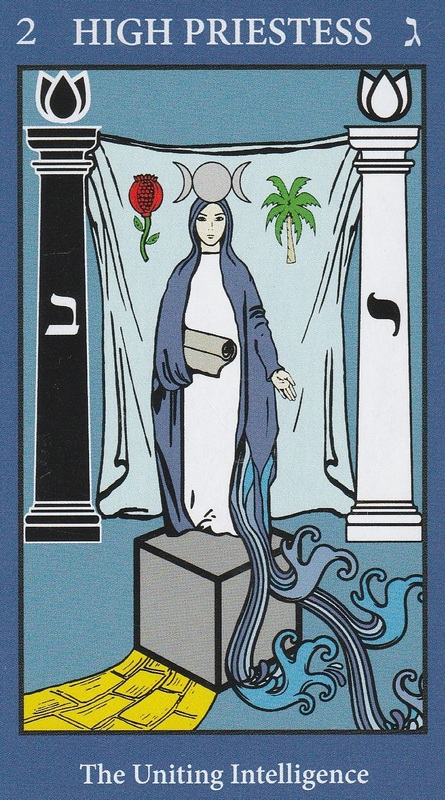 The High Priestess appears when you know the answers to which you seek. Be still and listen to the voice inside. Moon trine Uranus at 12:41 AM PST is a transit under which people seek revolution through change. If you’re out late, you may meet interesting people. Moon trine Saturn at 9:05 AM PST will find you accepting what you must in order to move forward. Moon trine Mars at 3:22 PM PST is a transit of bravery and leadership. It’s a good time to show what you’ve got. The Moon is void of course until 2:07 PM PST when She enters the detail oriented sign of Virgo. Pay attention to the little things to find the answers you seek. The number of the day is 5, a number of overcoming hardships by recognizing that you know exactly what you need to do. Mantra: The answer lies within. The Moon appears when things are not what they seem. The answers the High Priestess had for you yesterday reveal what’s under the surface of the issue at hand. Now that your recognize it, don’t fall into the temptation to keep living in an illusion. Recognize that humans are not as sophisticated as they pretend to be. Even the most “civilized” people have primal instincts. It’s how you deal with them that’s the lesson. Moon opposition Neptune at 12:09 PM PST is a transit where you may easily have the wool pulled over your eyes. Stay awake and be aware. The Moon is still in Virgo so remember to look at the little things to see what lies beneath. The number of the day is 6, a number of victory. 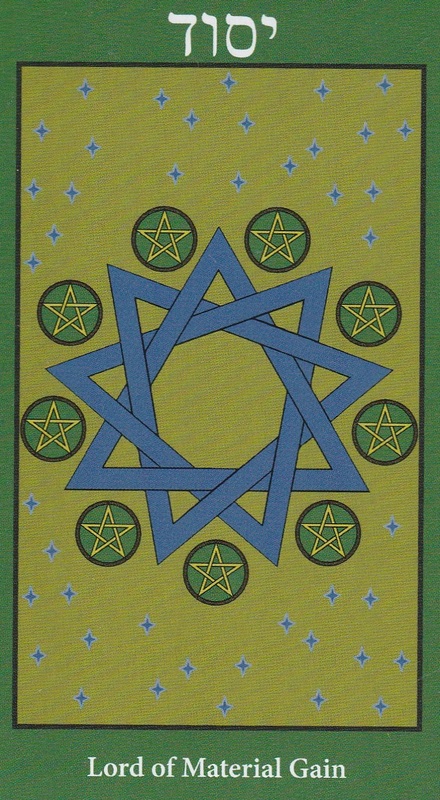 The 9 of Pentacles is a card of freedom. It’s a card of letting people and things go with the understanding that if they’re meant to be, then they will return one day. It’s a card of living a life of luxury that you build for yourself without dependence on anyone else. Moon trine Pluto at 12:57 AM PST brings intense emotions to the surface and sexual energy that could keep you up all night. Mercury square Saturn at 5:10 AM PST is a transit that challenges you to discipline your thoughts. You may be tempted to retreat within but this may complicate communication. Try to remain practical without feeling hopeless. Moon opposition Sun at 7:54 AM PST is an energetic emotional transit that brings the Full Moon. You will see your goals peak or wither, depending on your focus throughout this lunar cycle. Moon opposition Merucry at 7:36 PM PST is a transit of poor communication that could bring conflicts between the heart and mind. Be silent and give them both a chance to speak. The Moon is void of course for most of the day so take things as they come and let the results of your intentions be shown to you. The number of the day is 7, a number of reassessment and reevaluation. Mantra: I have the freedom to determine what comes in and what stays out of my life. This entry was posted in art, Astrology, dreams, mysticism, mythology, numerology, occult, photo shoot, Qabalah, Runes, self help, spirituality, Tarot, Uncategorized, Venus Retrograde, witchy, Writing and tagged abundance, astrology, card a day, divination, dreams, empowerment, goddess, inspirational, love, meditation, metaphysical, motivational, mysticism, numerology, occult, pagan, predictions, psychic, qabalah, self empowerment, self help, spiritual, spirituality, tarot, tarot reading, tarot weekly forecast, Venus Retrograde, wicca, witchcraft, witchy, writing. Bookmark the permalink.